Warning: shoe gals may find some of the imagery in this post distressing. Thanks to the lovely people at Sarenza my shoe collection has suddenly exploded, and the discarded corpses of brogues, heels and flats littered the floor around my wardrobe. Inside, more shoes lurked, unseen and unworn, as dresses jostled for space with chunky knits and crumpled blouses. Scarfs hung limply from hooks on one door, and belts slithered to the floor from the other. It was a diaster zone and something had to be done. 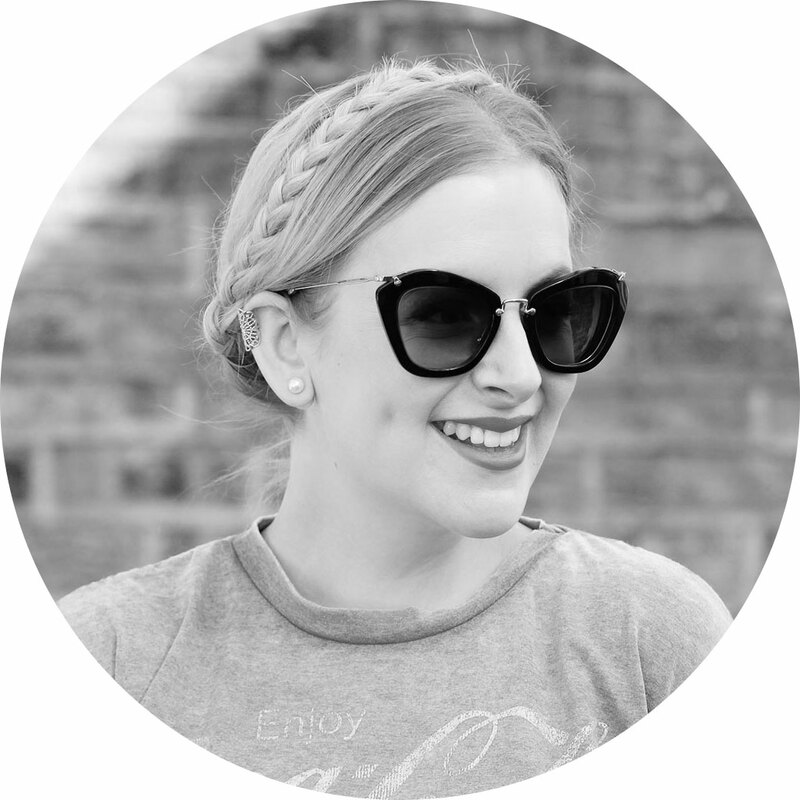 I didn’t want a minimalist look – I love a tidy house but I think a bit of organised clutter adds personality. And I didn’t want to hide my pretty shoes away in perspex boxes or cupboards. A flick through the Ikea catalogue gave me inspiration and after a quick visit I had my supplies. Then I started the sorting, clearing and arranging! For my shoes, I bought this pine bookcase for £14.99. 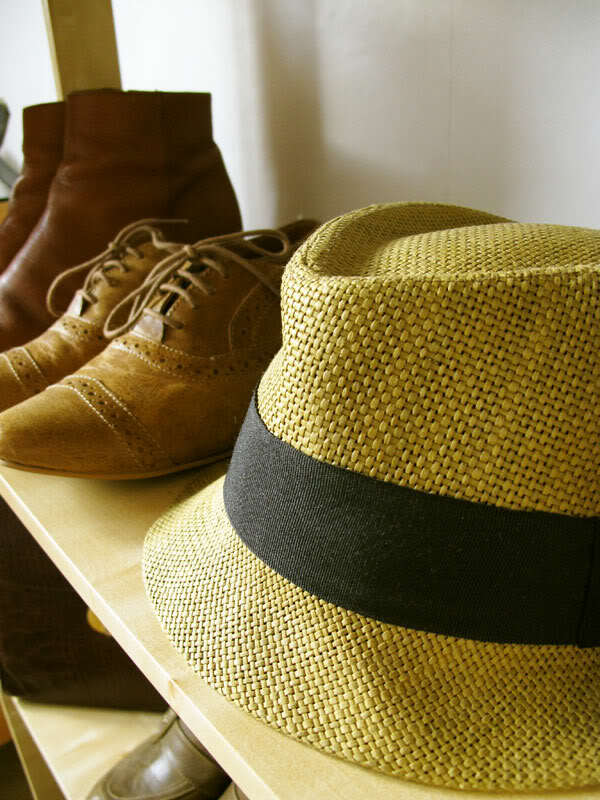 I didn’t want row upon row of shoes, so I mixed in a vintage handbag, straw hat, perfume atomiser and a few other pieces to create a display. 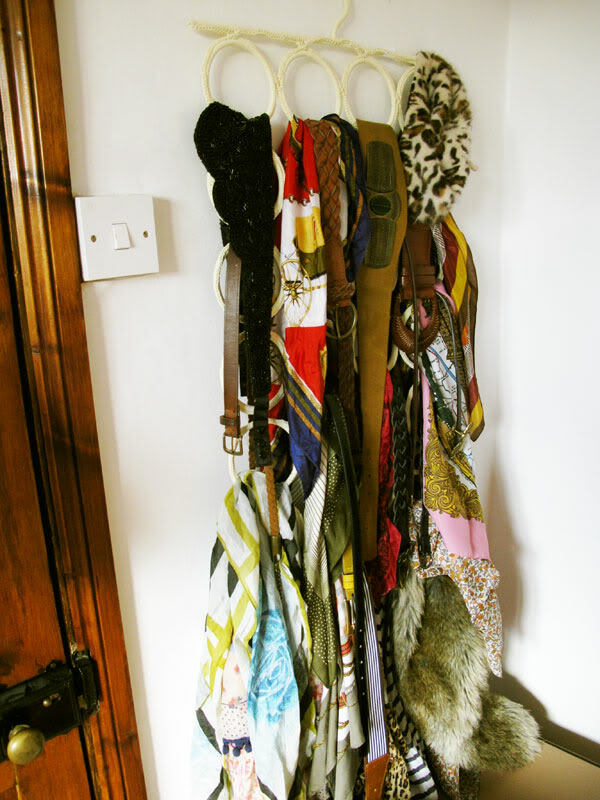 Belts and scarfs now hang from this circle storage hanger, £9.95 from Ikea. 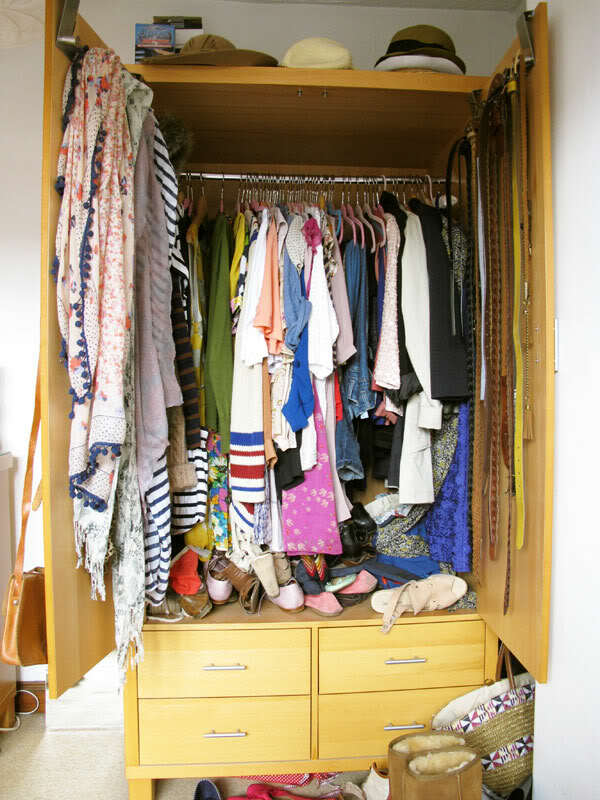 I rearranged my wardrobe, hanging my most-worn pieces and storing everything else in drawers. 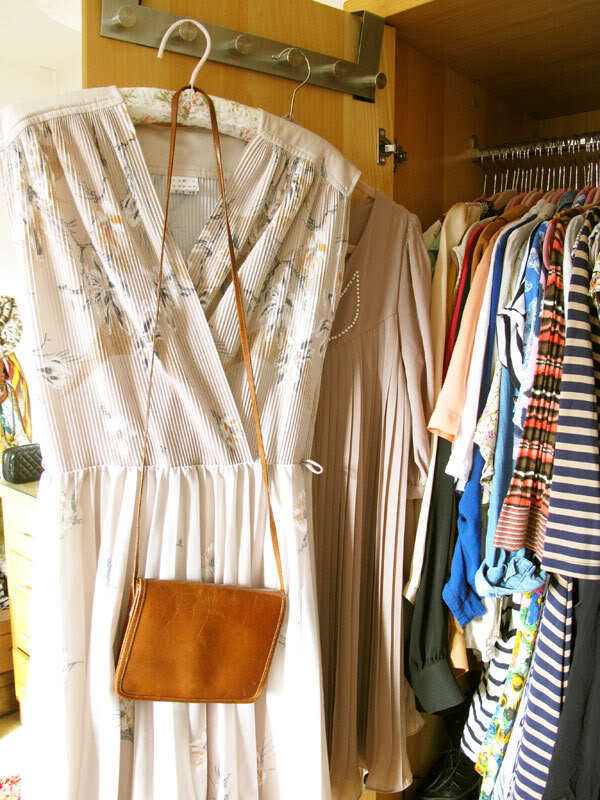 The hangers are a super-thin style to make the most of the short rail – I bought them in packs of 10 for £5 from TK Maxx. More functional (and less beautiful) shoes are stored here too. I used the doors of the wardrobe to show off my favourites. A vintage bag, a sequin jacket and the dress I wore to my mum’s wedding are proudly on display. 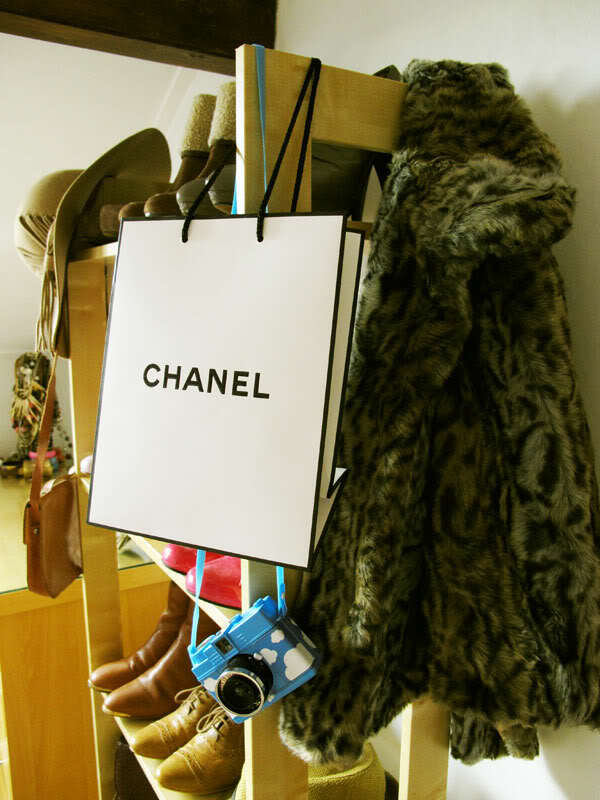 And finally, my current love-it-and-wear-it-every-day item – the Michael Kors leather jacket I bought at TK Maxx – hangs from a decorative hook on the wall. My bedroom storage makeover cost about £30, took a few hours and very little effort. And the best thing? I rediscovered the shoes that were hiding under piles of other shoes and the dresses that were covered by cardigans. It’s like going shopping in your own wardrobe! 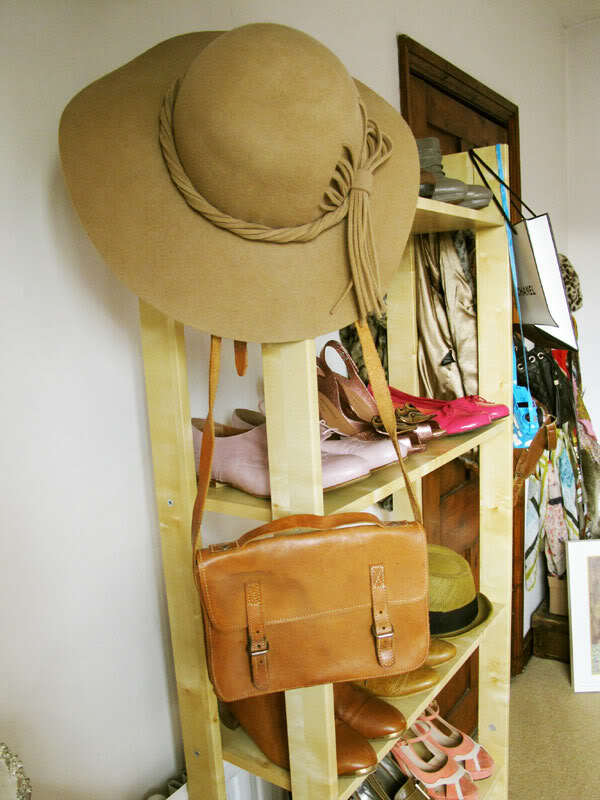 Love the shelving with different bits mixed in to break up the shoes, great idea. 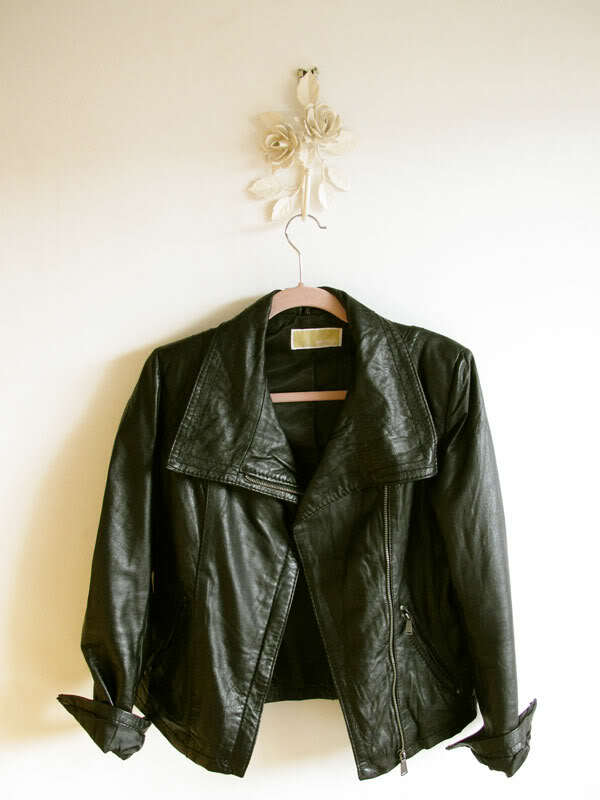 Jen, you inspired me to dig through TK Maxx and find an amazing leather jacket of my own! The Michael Kors wasn’t in my size, but I did find an amazing Muubaa alternative! I love this! It looks so cute, like a little boutique shop that I NEED to look in. I know it sounds silly but I had honestly never thought of using a bookcase to store my shoes but that is absolute genius!! I might have to steal that idea! Oh I have such a pain in storing clothes and shoes, it’s not that I don’t have enough room I just have so many that I can’t bear to part with. I’ve been wanting a bookshelf for shoes but the problem I have at the moment is finding a place to put the damn thing! Wow even beforehand everything looks so much tidier than my mess of a wardrobe! It can be so frustrating not to easily see what items you have and that’s what probably leads me to buying more stuff. 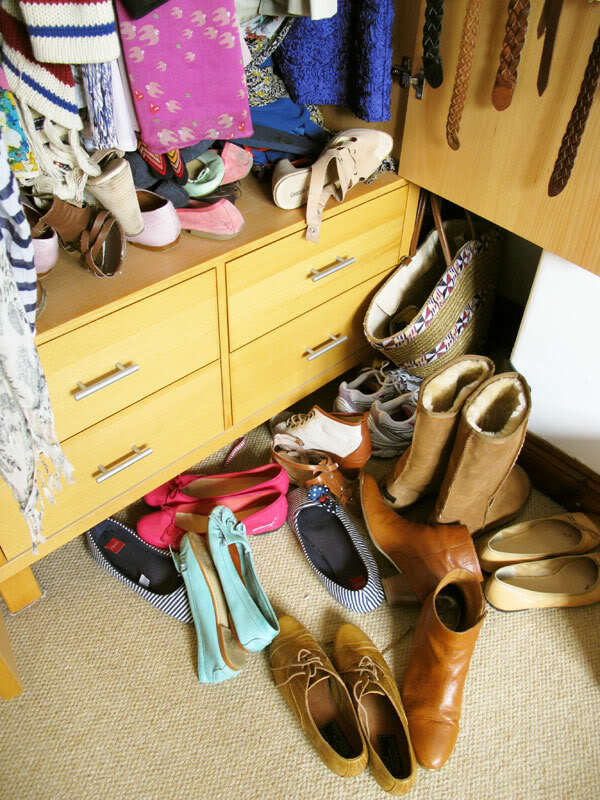 I like the way you’ve organised your shoes, I definitely will invest in a small bookcase for mine when I eventually manage to move out! Love how you’ve mixed things up a bit too, very artful. Good job! I love the bookshelves/shoe rack idea, shouldn’t hide pretty shoes away! It looks lovely, you jacket hook is especially pretty. My bedroom is an awful mess, I have seriously outgrown it so no manner of tidying will improve it besides a bigger house! I so need to organise my shoes, mine are currently residing in bin bags! It’s so horrible!! Def on sorting out mine this week. That leather jacket is a beauty. I’ve got the circle storage hanger too and its really organised my tights and belts. I wish I had more room for ikea gadgets although I have just put up some of their chunky shelves, which look fab. I stand in awe! I am utterly hopeless at storing shoes! They are currently, in the bottom of a wardrobe (heap), stuffed into a 3 drawer unit, in a large open washing basket and in a wicker picnic hamper! I need help ahrgh!! So much better! I have a ton of shoes in boxes under the bed but they are rarely accessed as a result. My dream would be a dressing room – I’m sure all my outfit issues would be dramatically reduced if only I could see everything properly. Which heiress/it girl is it who has a computerised wardrobe? Imagine! 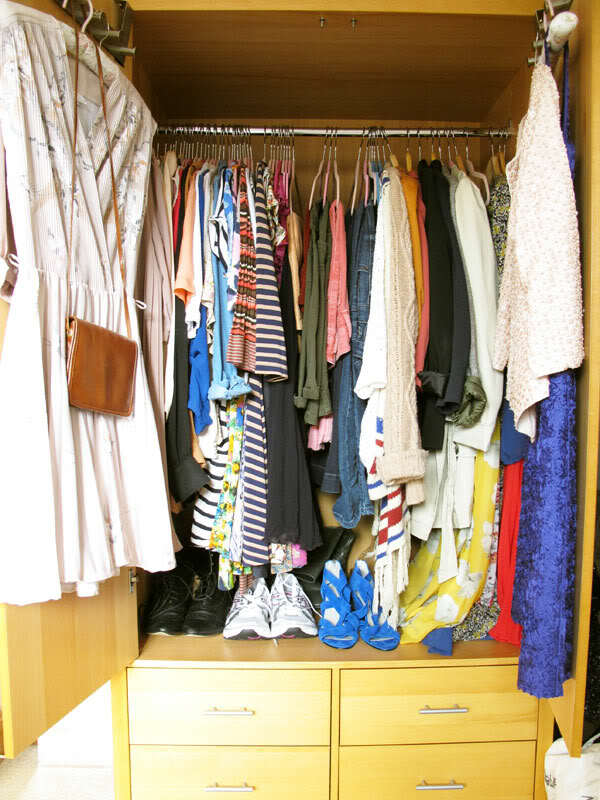 Your closet is really really nice. What camera do you use to take your pictures, and for a poor college girl in New York, what stores do you suggest I shop in? I mean you probably don’t really know American Stores that well but you’re a fashion/shopping expert so it wouldn’t hurt to ask! Being back at home and therefore having to make-do with the closet space I last had when I was 15 means that the overspill has lead to random piles of clothes popping up around both my bedroom and the spare room, so your article came in the nick of time! Ooh I have one of those scarf hangers too! Haven’t they gone up in price though?! I’m sure mine was only a few quid. I did buy it years ago though. I’ve had to go for low double shoe racks for my collection as I have far, far too many pairs to fit on a bookcase. Plus my room is very irritatingly laid out and the only spare wall has a radiator on it so I’d have no room for another bookcase/shoe rack anyway. 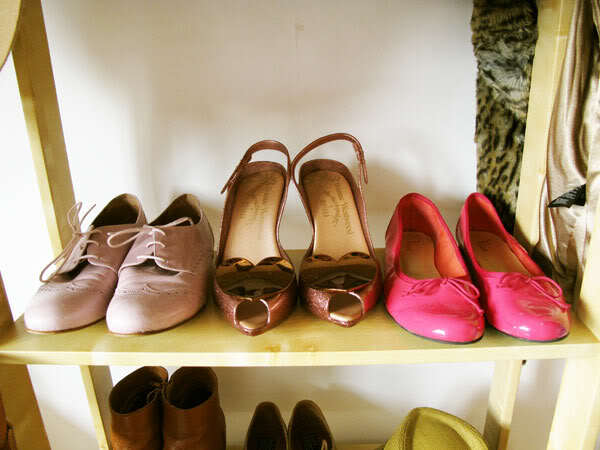 I love the idea of the shoe shelves… definitely better than plastic shoe boxes! 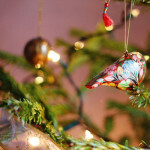 My room is looking very much like this at the mo! Just moved and I cannot find room for everything! 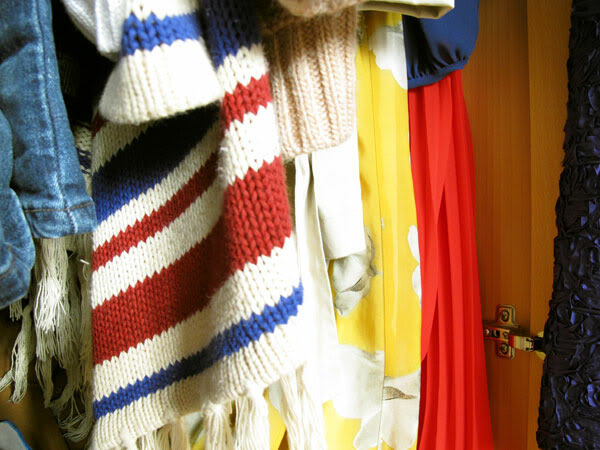 I love your wardrobe, such an eclectic mix! 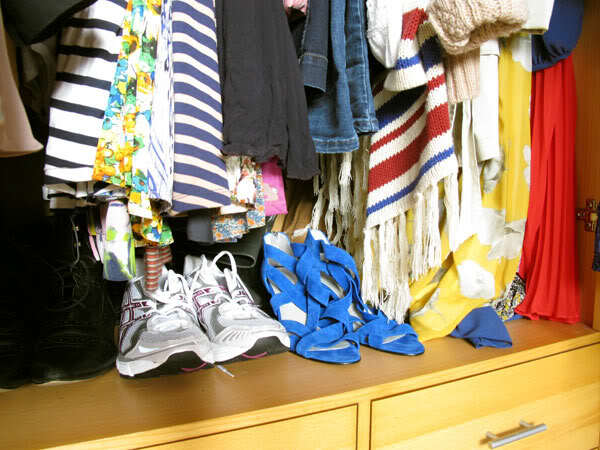 My wardrobe was designed with in-built shoe storage to keep things neat. My parents thought they were being clever. They didn’t take in to account just how many shoes I own! It seems like everyone is wardrobe sorting right now – I love the shelf display! I went to Ikea for a new chest of drawers yesteday – my new mission is to organise my clothes as prettily as you do!!! You’ve done a great job of making it look nice and neat without it being to ‘clinical’, it still looks cute & homely! I’m jealous of your lovely shoe collection too! I reorganised my wardrobe last week. 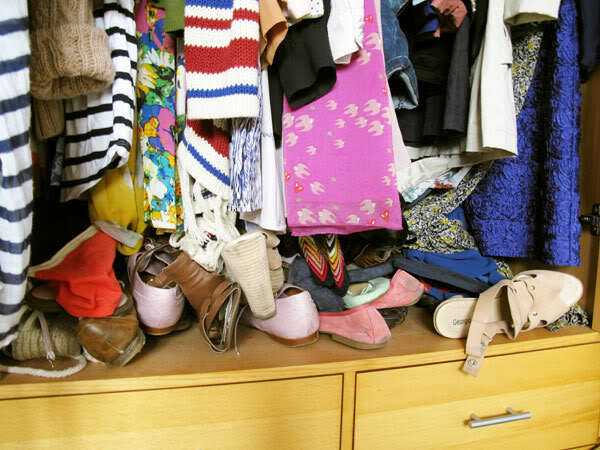 Its so much more practical now i know where all my shoes,bags,scarves,belts,clothes are and i can actuallly see them! I also organised my nail varnishes as well my makeup drawer,only thing left is jewellery! I had all my shoes in those bags that you store under your bed but they were rubbish and zips kept breaking and my whole floor was covered in shoes and boots so last week I invested in those clear shoes boxes and now every pair has its own box and so far the system is working really well! I did have to throw a couple of pairs of shoes away though as I ran out of boxes! How organised! I colour block my wardrobe, a legacy of years working in retail. Wow, it looks amazing just so perfect!